The British Airline Pilots’ Association says the incident comes as “no surprise” to them due to the long shifts and a lack of sleep experienced by pilots. 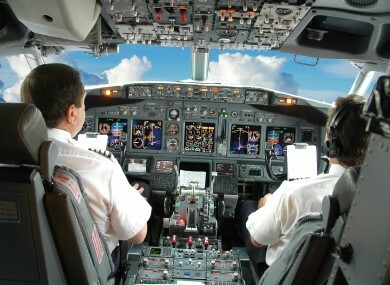 The pilots are believed to have been sleeping in shifts. BOTH PILOTS ON a British based airline fell asleep on the flight deck during a flight last month according to a report from the UK’s Civil Aviation Authority (CAA). The incident occurred on 13 August with the British Airline Pilots’ Association (BALPA) saying that it comes ”no surprise” to them after repeated warnings to the CAA. The events came to light as a result of a freedom of information request to the CAA which was reported in several media outlets. The captain and co-pilot are believed to have agreed to alternate sleeping while the plane was on autopilot before one of them awoke to find the other asleep. It is not known how long the plane had been flying unsupervised. The CAA say they have chosen not to identify the airline involved. The group point to a vote in the EU parliament next week which they say includes rules that permit a pilot to land an aircraft having been awake for 22 hours or more. Email “Both pilots on British based airline fall asleep during flight”. Feedback on “Both pilots on British based airline fall asleep during flight”.